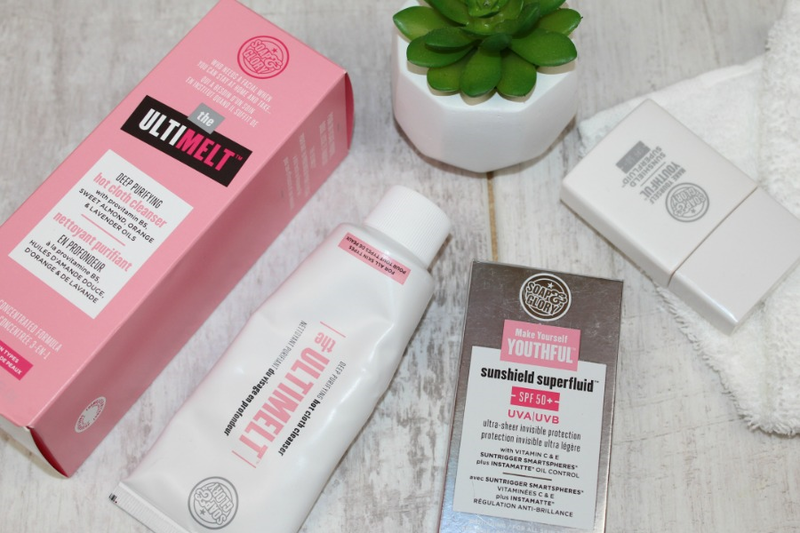 Yesterday I talked about my Drugstore Skincare Routine and today I wanted to chat a bit more in depth about two of the products that I use in my routine from Soap and Glory, which I call my skincare dream team! First up is the Make Yourself Youthful Sunshield Superfluid. This little gem retails for £14.99 for 30ml of product and is available from Soap and Glory online or Boots. I adore this fluid as it's lightweight, travel friendly and has an SPF of 50. I apply this on top of my regular moisturiser and it sinks in right away without leaving a nasty white cast, which in my opinion is defiantly not a good look! 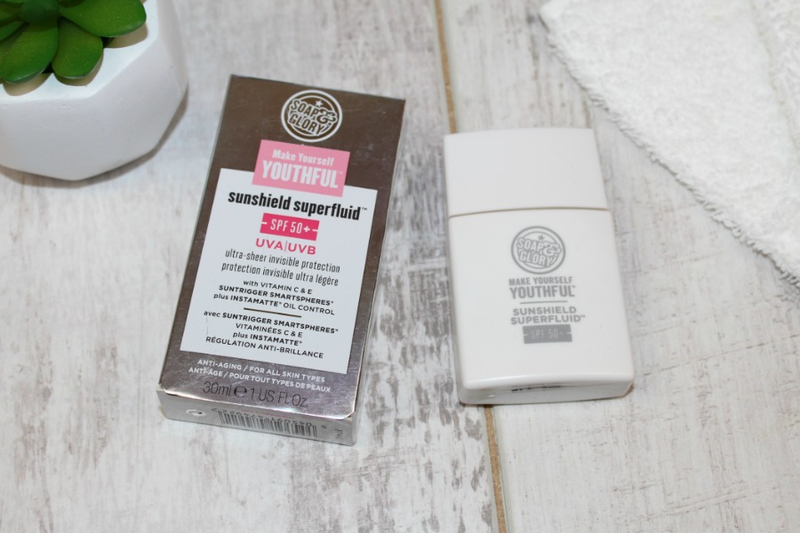 Overall an SPF is something I consider a very important step within my morning routine and for me this has everything I look for when searching for that perfect sunscreen moisturiser. 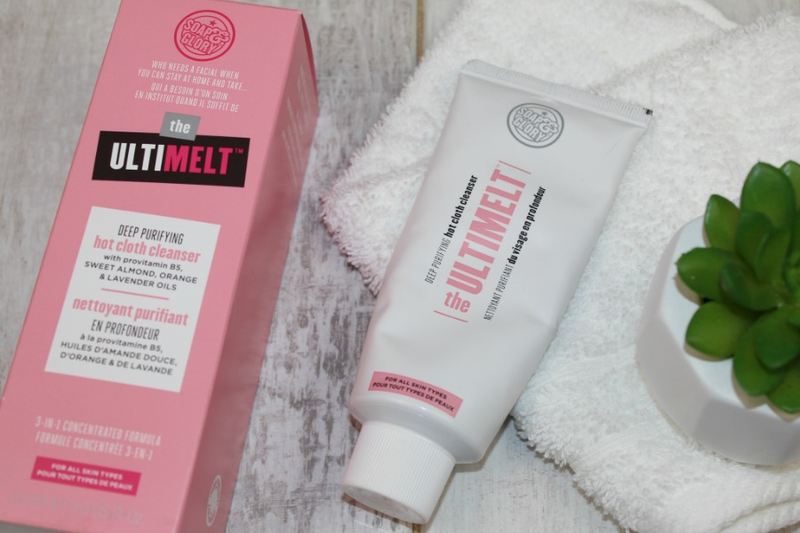 The second skincare item that makes up my Soap & Glory dream team is the Hot Cloth Cleanser, The Ultimelt. This is a great dupe for the Liz Earle Cleanse and Polish, if you want something a little more affordable. The Ultimelt retails for £10 for 100ml and is the perfect night time cleanser to not only deep clean the face, but it's also a wonderful second step pampering cleanser. The hot cloth cleanser is infused with essentials oils that help make the whole cleansing experience a dream!